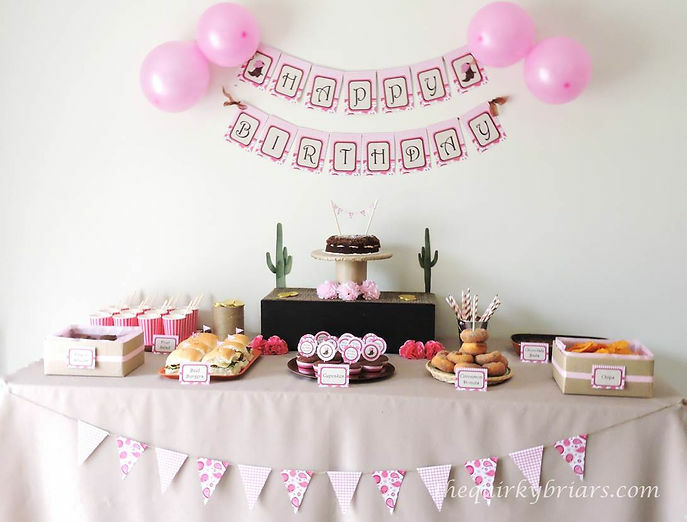 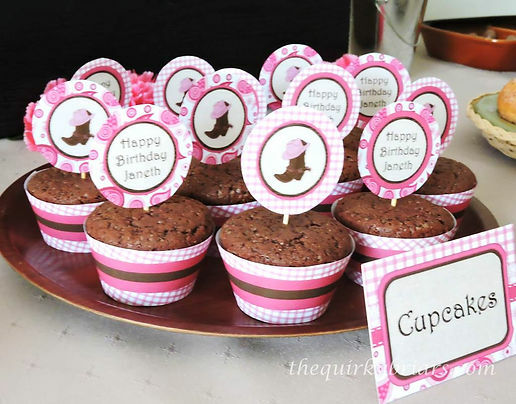 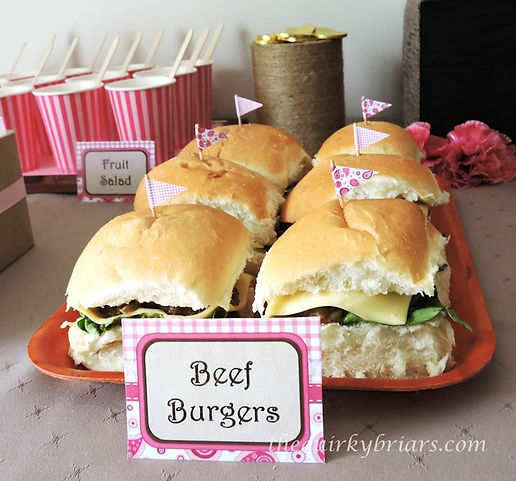 My little girl (uhm…the one I’m sponsoring…) recently turned 12 (not so little anymore, I know), so we celebrated her special day with a pink cowgirl themed party. 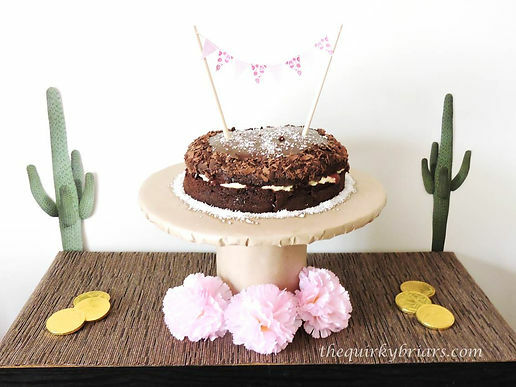 I would have loved a few good looking succulents to decorate with, but summers in Victoria are not that good to even the poor succulents (unless you take them indoors perhaps), so we contented ourselves with a few cutouts of cactus pictures in the background, plus loads of pink gingham and paisley prints, of course! 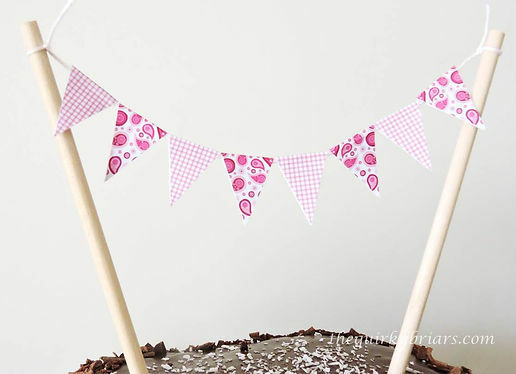 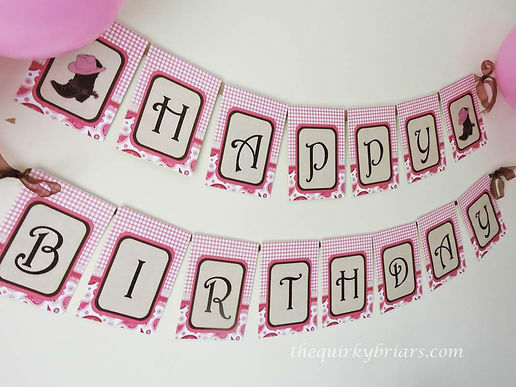 The decorations were a combination of rustic and girly, but we made sure there was a good amount of gingham and paisley buntings and pink balloons to make the atmosphere quite festive. 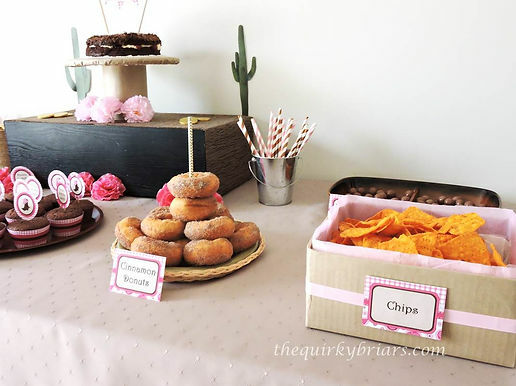 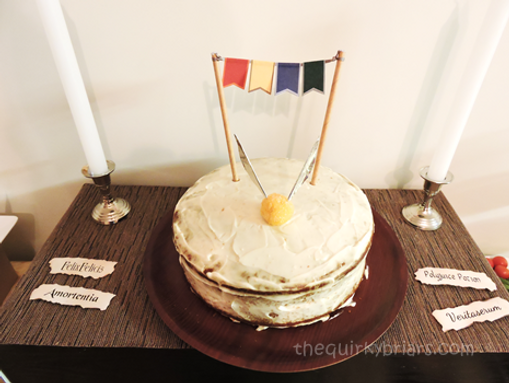 Rustic touches included wooden furniture, a few tin buckets, burlap bags with chocolate gold coins, shredded cream/yellowish paper as hay (a good substitute in case you’ve got guests who are allergic to real hay), wicker baskets to hold items such as cutlery, serviettes, or munchies.